He wasn’t just a tax collector at the time of Christ, he was the chief tax collector. He collaborated with the Romans by becoming their tax collector, seizing money from his Jewish neighbors on behalf of their oppressors, and keeping a cut for himself. 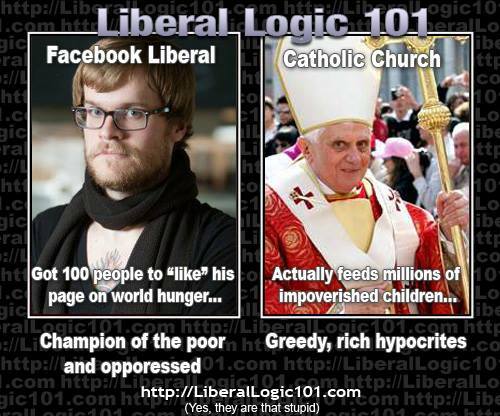 A modern equivalent for a liberal would be a greedy capitalist who exploits the little guy so he can live in his fancy, gated community while the world falls apart around him. Our kids are still getting raped and abused. Lives are being shattered, seemingly on a daily basis, by authority figures our kids have been conditioned to trust. Marc was stationed in Afghanistan for thirteen months. The place sounds like a living hell. He said you never knew when violence could erupt. Marc, a friend of mine, was there to rebuild roads. His unit wasn’t there to destroy; they were there to build. And yet an invisible sniper took aim at Marc one day and pulled the trigger.